Bolbitis tonkinensis (C.Chr. ex Ching) K.Iwats., Acta Phytotax. Geobot. 18: 49. 1959; Tagawa & K Iwats., Acta Phytotax. Geobot. 25: 18. 1971; Hennipman, Leiden Bot. Ser. 2: 310. 1977; Tagawa & K.Iwats., Fl. Thailand 3: 319. 1988; Boonkerd & Pollawatn, Pterid. Thailand: 184. 2000. – Egenolfia tonkinensis C.Chr. ex Ching, Bull. Fan Mem. Inst. Biol. 2: 306. 1931; Tardieu & C.Chr., Fl. Indo-Chine 7(2): 424. 1941. Rhizome not known from Thailand; stipe and rachis densely scaly throughout; scales small, ovate-oblong, up to 3 mm long, appressed, dark brown, irregular at margin. 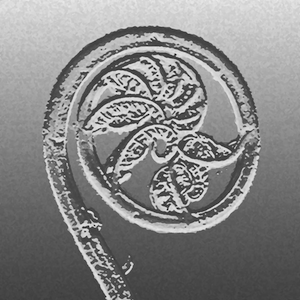 Sterile frond: lamina 80 by 30 cm, narrowly elliptic with attenuate apex; lateral pinnae more than 30 pairs, sessile, oblong-lanceolate, rounded at base, caudately acuminate with unlobed apical projections of 3.5 by 0.4 cm, lobed to 2/3 way towards costa, up to 16 by 3 cm; costa raised on both surfaces, densely scaly beneath; lobes oblong-subdeltoid, oblique, rounded to moderately acute at apex, up to 13 by 6 mm, subentire with setae at margin; main veins distinct on both surfaces, veinlets simple or forked, basal posterior veinlets springing directly from costa, basal anterior veinlets running to sinus and ending in sharp narrowly triangular teeth 1.5 mm in length, the other veinlets reaching the margin of lobes and ending in setae up to 1 mm in length; softly papyraceous, glabrous, dark brown to blackish in dried specimens; rachis bearing gemmae. Fertile frond lower, with about 12 lateral pinnae; pinnae narrowly oblong, rounded to subtruncate at short stalked base, moderately acute at apex, entire, up to 3.5 by 6 mm, covered entirely by sporangia . Collected at 550–950 m alt. This species is very poorly known and its distinction from Bolbitis sinensis (Baker) K.Iwats. requires further research.